This is one of the statuesque figures that stands either side of the doorway to Temple 22. 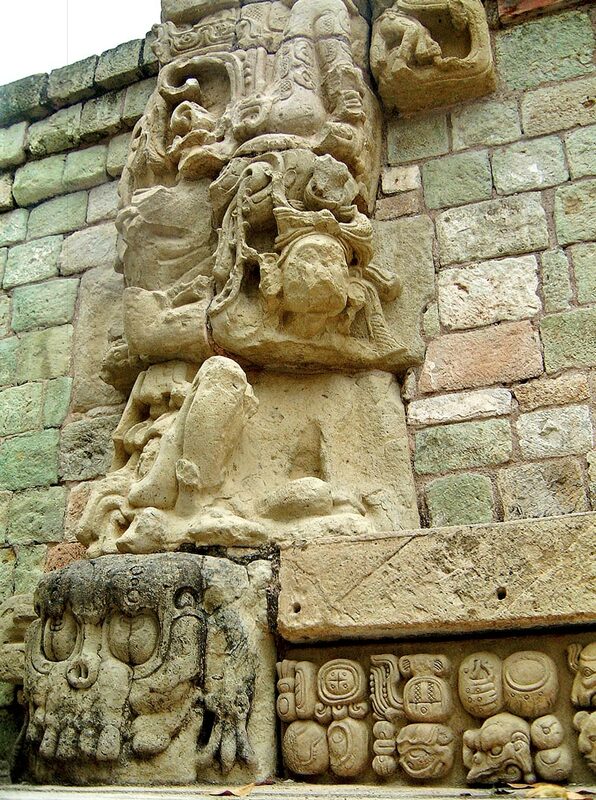 Here, the grotesque form of Chac, as the Earth Monster, supports a Bakab who is sitting slouched in an unusually relaxed pose looking to the left with one knee raised. In Mayan mythology, the Bakab were tasked with holding up the four corners of the world (i.e. North, East, South and West).